Health Benefits of Vitamin Enhanced Waters? Vitamin Enhanced Waters are becoming more and more popular. They now seem to be the beverage of choice among health conscience people on the go. However, are there any real health benefits to these liquids that come in more colors than a box of crayons? How truthful are the claims touted by the manufactures of these drinks? Find out the answer to these questions and many more in this new H.I.C. article by David Gilbert. Energy drinks come in colorful cans and have creative names. They seem woven into our culture now just like apple pie and beer. But, how safe are they? What ingredients go into making these high-octane formulas? H.I.C. writer Ronald Uy breaks it all down for you in this new article, “The truth behind energy drinks”. The occurrence of Rectal and Colon Cancer has been on the rise for many years. Read the new H.I.C. article on Rectal and Colon Cancer to get more in-depth information. Calcium Supplements: Working For You… or Against You? There are shocking differences between calcium sources that can make all the difference. Learn how to optimize your bone density results by making better calcium choices. A new original article from H.I.C. guest author Dr. Marcus Laux gives us the inside scoop on calcium. Suffering from chronic fatigue? Then take a minute to read H.I.C. guest author Dr. Jacob Teitelbaums post on what you can do about Fatigue and Fibromyalgia. Detoxification Diets have been growing in awareness in recent years along with a plethora of businesses, services and products, hyping everything imaginable to purge our bodies of toxins that compromise our immune system on a daily basis. In today’s world, exposure to environmental toxins in the air, our ground, our water, and especially our food supply is increasing rapidly. Although our body’s natural elimination and detoxification system has been a reliable biochemical machine to accomplish that task over eons, with today’s barrage of toxins and pollution many times it’s not enough. This brief overview of today’s Detox Diet will help consumers make informed choices in an area loaded with charlatans and bizarre gimmicks that may do more harm than good and who often are more interested in purging your pocketbook rather than your toxins. Did you know that daily exercise can keep your diabetes in check? Specific exercises can have a tremendous effect on glucose levels for those that have type 2 diabetes. On the contrary people with type 2 diabetes that don’t exercise never see any improvement with glycemic control. To learn more read this H.I.C. 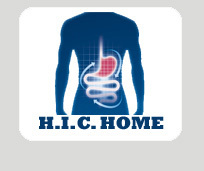 digestive health article from guest author Sue. R. Rollins.